Canoes and kayaks are adapted as needed to compensate for any function the paddler has lost due to disability. 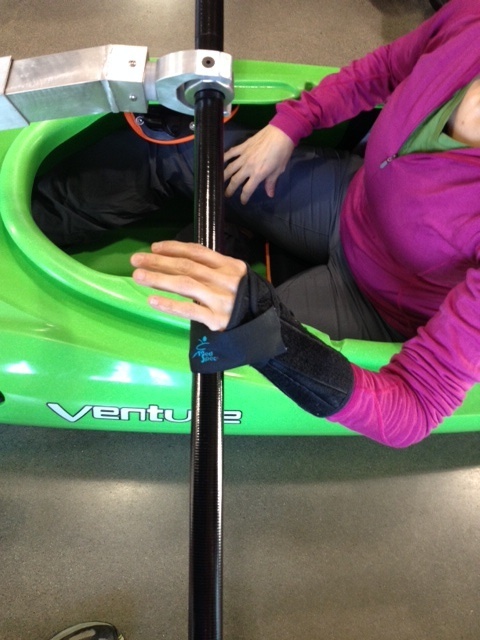 While an adaptation may be made to the paddle grip or the seating support, the sport of paddling is not changed or adapted. Our Adaptive paddling programs are committed to providing full integration for anyone with a disability and the equipment, teaching style, and paddling locations that best meet the paddler’s needs. Bursaries area available for all ages to have access to our programs. Equipment purchases have been made possible thanks to the donations from the Township of Langley and Variety Children’s Charity. Paddling with one hand, conserving energy is possible with this device, transferrable and adjustable. New paddling device for clients to paddle as independently as possible when living with conditions such as hemiplegia, neurological conditions, traumatic brain injury, upper body amputations. The device is also able to be used while wearing hand splints. Could you tell me where to buy “special seating”. Does it apply to inflatable kayak? hi there, we would have to see the type of seating your kayak has and how we may adapt what we use. where are you located? 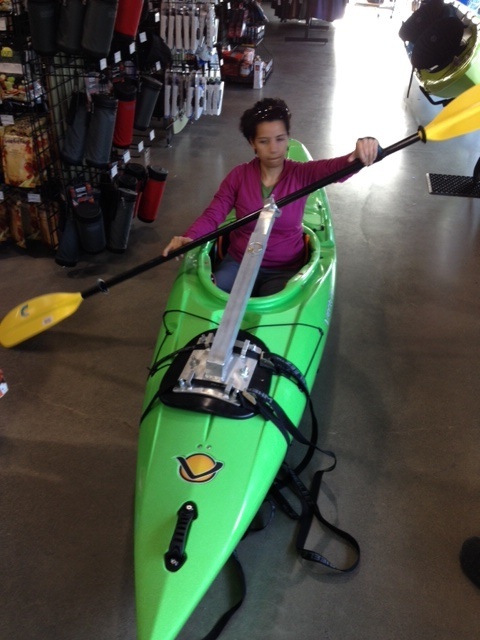 could you bring your kayak to us in the summer to see what fits?